Take A Deep Breath And Chill: The Wednesday Blog Hop. 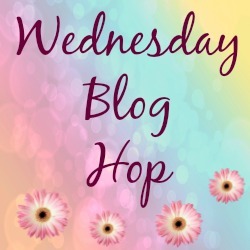 Happy Wednesday and welcome to this weeks Wednesday Blog Hop. Wordless or not so wordless blog hop. How had your week been going so far? Good, I hope. 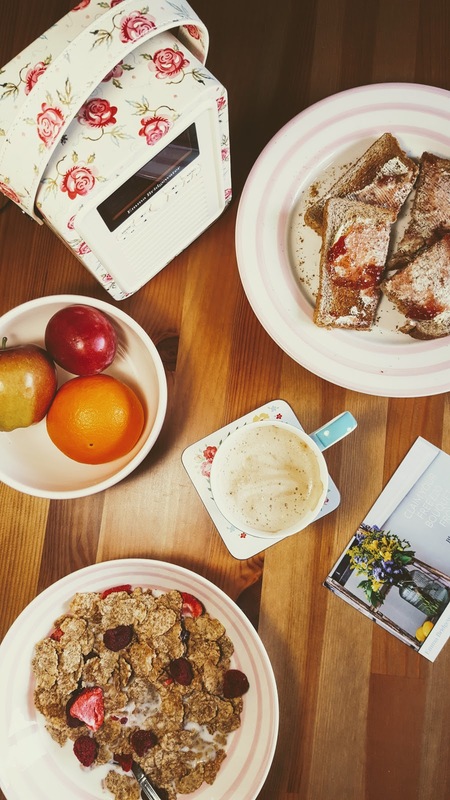 Yummy breakfast served with my favourite tunes: perfect! Happy that you have joined us this week. Did you missed us!? The mid-week blog hop /linky party I mean!? I am sorry I have missed posting the Wednesday blog hop over the last few weeks. Life sometimes gets in the way. Always one thing then another. Mostly poorly people with all the Winter bugs going around and all that jazz!! The last few weeks have been full of fevers, colds, hospital dashes with one son then another. Stress!! Last night I was in the hospital until early hours this morning with one of my sons and now I have a really bad sore throat and fever. Never ending, is it!? Not much fun happening here at the moment. What is worse is Mollie the Collie still wants 2 x 1-hour walks and I am really trying to keep up my run streak going. I went to the gym on Monday but I have been ill, ever since. Maybe next week I will be well enough to go two or three times. Fingers crossed! Hard work doing anything when you are fighting a cold, stressed and your energy levels are low. Plus the washing and housework need’s catching up on. I really need to take a deep breath and chill. On the plus side, Spring is on its way :):):) So far this week I have seen some beautiful flowers and blossoms growing on the trees, not forgetting some pretty little snowdrops in Bakewell. How is your new month going!? Have you got a post you would like to share with us today? Do you want to join us and link up your posts this week? What I Wore In February. 6/03/2017 Creative Mondays Link Up. How To Make A Valentine’s (Be My) Baby Beetroot Tarte Tatin, Honey & Thyme, Cheddar Pastry. "What I Wore In February"
"The Windmill Mayfair’s Award-Winning Steak And Kidney Pie Recipe"
Mollie will keep you all out and moving! I need one, too. Here, let's try it together…Ready, set, deep breath! Claire, what can I say it's cold/flue season! DD#2 is getting over the flu and a few weeks ago DS had it. We're trying to keep away from all the germie people but it's hard to do if you have school aged kids like you. Here's hoping y'all feel well again soon. Take it easy and enjoy that delicious breakfast. Have a happy Wednesday! Really good food it looks like. I love how it's presented too! This is so great to link up! Hearing about your dog is wearing me out! Hehe, she wears me out most days 🙂 Thanks for stopping by. A good walk always clears my mine. It is a way of chilling. Hope you get better soon. Thanks Patrick 🙂 Nearly back to normal. Hope your back to your normal energy level very soon! Thanks Teresa 🙂 Looking forward to a new week tomorrow. Sorry to hear that everyone has been so sick; that's always tough. Thanks for hosting! Your breakfast looks yummy! Sorry to hear your kids have been sick. I hope spring snaps them out of it. We're going into autumn and torrential rains have started.